In this video, MHCLG's Chief Digital Officer Paul Malty describes the Fund as part of a wider initiative that is also asking local councils to sign up to a 'Digital Declaration' that, if its princlples are followed, will help break dependence on inflexible technology, allow adoption of the best digital ways of working, and ultimately help authorities excellent local services for less. Also part of the programme is a commitment to train around 1000 local government staff in digital skills. Emma Collingridge, who spent 15 years on digital transformation at Stockport Council until moving to a role in central government in August, describes how innovative councils like Stockport might use the Fund to enable them to create reusable tools and products that will help service teams in other authorities redesign their services to Declaration standards. Timing is tight. Councils interested in funding must sign up to the Local Digital Declaration and put in an expression of interest by 5 October. MHCLG's Local Digital Team will evaluate expressions of interest and cluster applications where similar projects are proposed to encourage collaboration on common issues. Successful 'expressions of interest' will be able to apply for funding between 15 October and 18 November, and decisions will be announced on 3 December. The Local Digital Team is using the local digital peer network LocalGov Digital’s Slack as a community base. Interested parties need to become a member and join the #mhclg-digital Slack channel to ask questions and identify others to join up with. 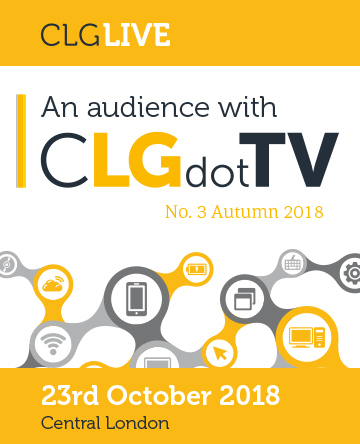 CLGdotTV has also seen calls for collaboration by individuals preparing expressions of interest going out through Twitter and other social media channels. Twitter hashtags #localdigital and #localgovdigital are good hashtags for discovering these.